Is Obama a Christian or a Muslim? What Do His Deeds Say? | Virginia Right! Is Obama a Christian or a Muslim? What Do His Deeds Say? The Democrats and the press (as if there were a difference) immediately jumped on the statement. How dare Rudy blaspheme our black president? So naturally they drag out charges of racism, hate and the usual worn out methods that make Republicans cower. And since this statement was spoken at a Scott Walker, the current poll leading Republican wannabe presidential contender, it was as if Walker had uttered the words himself. After all, anything someone says at Walker’s event is pretty much straight out of his own mouth, right? Yet when creepy Uncle Joe Biden gaffs it is never the fault of the Democrat that invited the known moron. That’s just Joe. The possible 2016 White House candidate said he’s never asked the president about it. Ask the president? Ask the President? Walker was supposed to cave in at that point and “admit” Obama loved America. But does he? 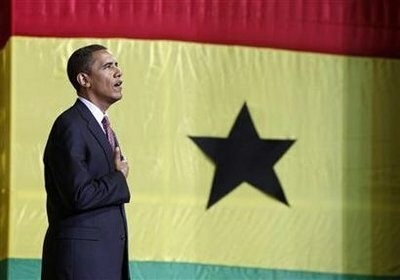 Well, if you recall he does not put his hand over his heart for the National Anthem. And if you remember, Obama’s campaign was about changing and fundamentally transforming America. Would one even consider changing and transforming a country you loved? Perhaps it was his upbringing as a Muslim. Or his years of sitting on the front row at Jeremiah Wright’s “blame white America” church. Either of which explains his disdain for America. Giuliani is right when he says Obama was not brought up like us. I was taught to love my country while Obama was in madrassas learning the Koran in Indonesia. All of the data says Rudy is right about Obama. He certainly didn’t learn to love America at his Ivy League college. “I’ve actually never talked about it or I haven’t read about that,” Walker said. Later his office called the reporters and backtracked on this, as Republicans are expected to do. Walker spokeswoman Jocelyn Webster then called the Post to clarify Walker’s remarks. But let’s take a look at the mountain of evidence on Obama’s Christianity. Now name one deed Obama has done in support of Muslims and Islam. That is a pretty long list. We have seen professions of faith used both as an instrument of great good but twisted in the name of evil. From a school in Pakistan to the streets of Paris we have seen violence and terror perpetrated by those who profess to stand up for faith – their faith – profess to stand up for Islam but in fact are betraying it. And lest we get on our high horse and think this is unique to some other place – remember that during the Crusades and the Inquisition committed terrible deeds in the name of Christ. An interesting pairing of thoughts. Obama admits violence has been happening in the name of Islam but he believes the perpetrators are not truly believers in Islam, but imposters who betray Islam. And then he goes back centuries and blames the Crusades as an example of Christians doing terrible things. Yet he did not say these Christians were betraying the religion. Nor did he mention the reason the Crusades happened in the first place – to repel the invading and murderous Muslims who invaded Europe. Obama has a pretty consistent record when it comes to defending Islam. But he is quick to condemn Christians and Jews. And his treatment of Israel has been abysmal. And it is clear to many that Obama favors a nuclear Iran to “keep the Jews in check”. But we all know Iran sees a nuclear bomb as an offensive weapon and Israel views the bomb as defensive and a deterrent. 16 They profess to know God, but by their deeds they deny Him, being detestable and disobedient and worthless for any good deed. Verse 20 can be translated as “by their deeds” you will know them. And I think we can look at Obama’s deeds and know where his heart is. So is Obama a Christian? His deeds would indicate otherwise. But here is a thought. How about on of the liberal media reporters ask Obama if he is Christian or Muslim? These reporters were upset with Walker’s non answer. Wait until you question Obama. ← Our Weasel Of The Week Nominees! How could anyone with even a single working brain cell vote for this traitor to run this country (into the ground)? Because his allegiance is to Allah, The moon god of Arabia . Because no other religion is accepted by His Allah except Islam. Because his allegiance is to the five Pillars of Islam and the Quran. Because his allegiance is to Mecca , to which he turns in prayer five times a day. Because his allegiance to Islam forbids him to make friends with Christians or Jews. Because he must submit to the mullahs (spiritual leaders), who teach annihilation of Israel and destruction of America , the great Satan. Because he cannot accept the American Constitution since it is based on Biblical principles and he believes the Bible to be corrupt. Because Islam, Muhammad, and the Quran do not allow freedom of religion and expression. Democracy and Islam cannot co-exist. The Christian’s God is loving and kind, while Allah is NEVER referred to as Heavenly father, nor is he ever called love in the Quran’s 99 excellent names. Perhaps we should be very suspicious of ALL MUSLIMS in this country. They obviously cannot be both ‘good’ Muslims and ‘good’ Americans. Call it what you wish it’s still the truth. You had better believe it. The more who understand this, the better it will be for our country and our future.